2. Then click the Bluetooth button（connect） in the edge of the keyboard. 3. Open the Tablet Bluetooth Search when the Bluetooth lights twinkling. 4. Click the bunch of English instruction in the tablet. 6. Then enter the PIN No.on the tablet. 7. Press the Enter key on the keyboard. Quality all-in-one Case: Bluetooth keyboard + Protective Case + Stand. The keyboard can be detached from the case, this allows you to place it in a more comfortable typing position. Top Quality PU Leather Case with a detachable Bluetooth. 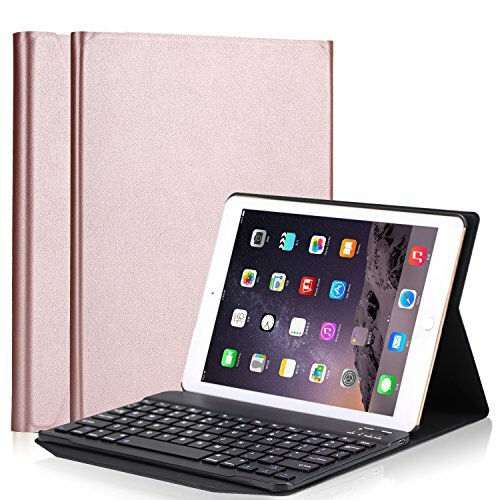 The wireless keyboard connects with your Tablet via the Bluetooth interface. deal for home, school, office and mobile use. Lets you experience comfortable typing rather than clumsy tapping.